IP litigation is very complex and requires an acute understanding of both the underlying technology and the specialized law, rules and procedure that govern such disputes. Ryder, Mazzeo & Konieczny has a team of experienced attorneys that litigate intellectual property disputes throughout the country for a wide variety of clients and technologies. 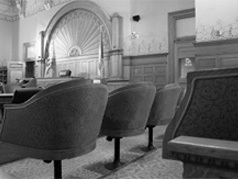 Our litigation attorneys have both the technical background and legal experience necessary to effectively and successfully advocate these highly-technical and fact-intensive cases as either a plaintiff or defendant. RMK is equally experienced to assert claims against potential infringers and to defend our clients against charges of infringement. IP infringement is a special form of harm for any company, which often requires expedited relief from the court. Our litigation team has specialized experience prosecuting and defending motions for temporary restraining orders (TRO) and preliminary injunctions (PI). We have a long track record of obtaining immediate injunctive relief against infringers, counterfeiters, bootleggers, and non-compliant former employees, and of defending client’s against baseless infringement claims from third parties.